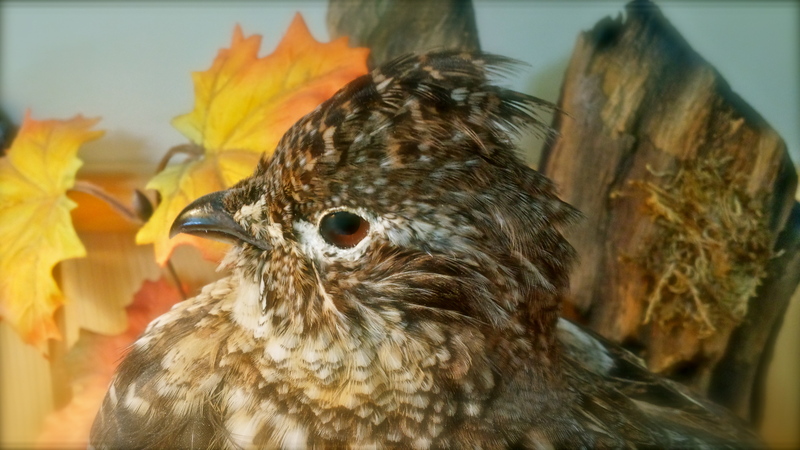 It was October, 2014, and I had just returned from a rather discouraging grouse hunt. I mundanely went back to work at 4 A.M., delivering newspapers. I was barred from the woods for another week, and being a paper carrier only solidified that fact, for my route was right in town, spanning an area with two main streets and dozens of business and homes–far removed from hunting lands and tasty critters. My weekend sojourn in the North-Woods of Minnesota hijacked my groggy morning mind by haunting me with memories of the hunt. I delivered papers like a machine, dazed and fully surrendered to the hauntings. I pulled up to the bank on 13th street, threw the paper out the car window, thinking, Man, I wish I saw more grouse last weekend. I turned the corner and saw a peculiar pile of leaves. It blinked at me, so I had to blink too, just to be sure I wasn’t manifesting symptoms of psychosis. I fixed the headlights on the leaves and stopped the car. 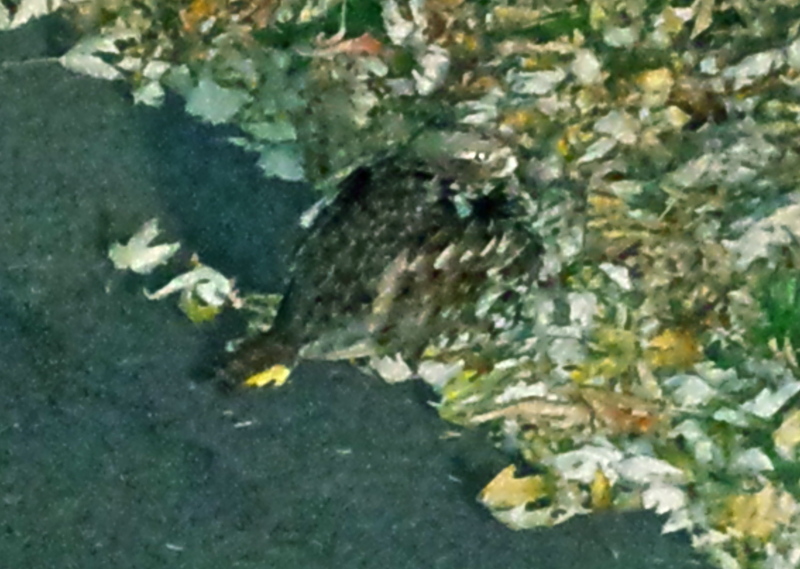 I looked harder and couldn’t resist a chuckle–it was a grouse, sleeping on the city street. Anyone who knows anything about these birds know that they’ll never sleep on the ground (they normally roost in evergreens), let alone on a city street. It just doesn’t happen. As with all those “big fish” stories, I feel like I’m fighting an uphill battle as I proclaim the veracity of this story. I got out of the car and crept up to it. I wasn’t sure if it was injured, so I nudged it with my boot to see if it would fly away; it didn’t budge. I then saw movement down the sidewalk a few yards away. It was a cat, creeping towards us, presumably to feast on the unsuspecting grouse. I nudged the grouse again, but this time it flew away…into a nearby house, flapping against the siding, before falling to the ground. I ran up to it and nudged it again. Finally it got the hint. It flew over the bank and out of sight–far away from cats, headlights and boots. The coincidental factors are many, but what gets me the most about this story is how all the elements seemingly worked out for my amusement. Was it coincidence? Or was it God reminding me that he has a sense of humor? Perhaps it’s all about perspective, and if that’s the case, I’d like a second opinion…preferably not from a city grouse (or any grouse, for that matter). I’d prefer the one with greater perspective–the one wearing the boots and shining the headlights. “…I came that [my sheep] may have life, and have it abundantly” (John 10:10b). “Even though I walk through the valley of the shadow of death, I will fear no evil, for you are with me; your rod and your staff, they comfort me. You prepare a table before me in the presence of my enemies…” (Psa. 23:4-5a). If the God of the universe finds it necessary to poke me with humor from time to time, how much more will he be able to handle the course of my life? When I find myself dozing off in the city street, where cats, headlights and boots ruffle my feathers and make me feel small, will I grumble for being awoken from my slumber? Will I despise the boots? Or will I trust the man wearing them? “My son, do not regard lightly the discipline of the Lord, nor be weary when reproved by him. For the Lord disciplines the one he loves, and chastises every son whom he receives” (Heb. 12:5-6). When I’m ignorant of approaching danger, will I trust God’s love when he boots me around, or will I disbelieve altogether because a “God with boots” doesn’t fit what I think God “ought to be”? The same God who boots us with tough love is the same God who nudges us with humor. Yes, sometimes I’m just a city grouse, clueless, but along with billions of other Christians around the world, I find comfort in a God with boots. Next You May Believe in God, But Do You Love Him?